Although we realise that a lot of children’s therapy happens through play and leisure activities we felt it important to have a section for those who are involved in physiotherapy and occupational therapy working with children. At Active Hands our mission statement is to help those with hand function weakness to perform independent tasks. As children grow they need to learn to do things for themselves. Our gripping aids can help children to perform activities for themselves – such as self-feeding. A chunky cutlery grip can be used with our gripping aids to enable children to feed themselves. Once used the cutlery grips can go into the dishwasher and the gripping aids into the washing machine. There are many activities that our gripping aids can assist with. Why not get children involved in gardening, holding a watering can, or trowel, or playing a sport? 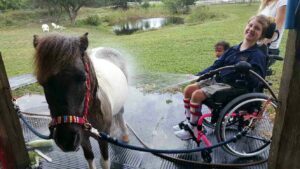 A branch of a charity called ‘Personal Ponies’ based in Florida discovered our gripping aids and found several ways in which they could be used for independent activities. One child, Kelsie, was able to feed, groom and wash her pony by herself – and she was delighted to be able to do so! Your active hands have enabled some of the children and adults we work with to have an “I can” attitude about being so independent! We can’t thank you and your company enough for your generosity. Some asked me just the other day what the difference was if I am child was doing an activity assisted by HAND OVER HAND or by using Active Hands. The assistance that active hands offers is the freedom to DO IT BY MYSELF! !! I regret not taping Kelcie ‘s first experience…squealing I DID IT!!! THAT WAS SOOOOOOO COOOOOL!!!! 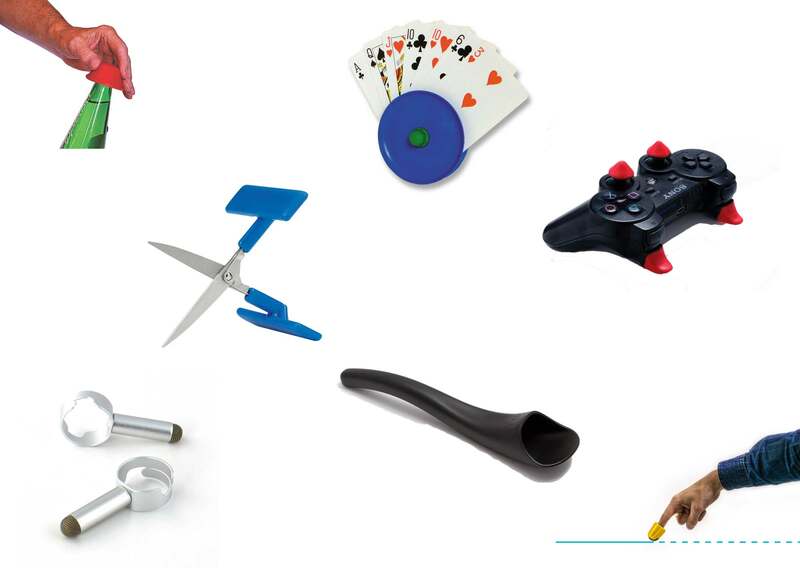 Our products by others section contains may other items that can aid independence – like table-top scissors, zubits (shoe fasteners) and zip grips. Children love to join in with play activities but for those with hand function weakness joining in can be difficult. Our Mini or General Purpose gripping aids take away the hurdle of not being able to grip allowing children to participate. 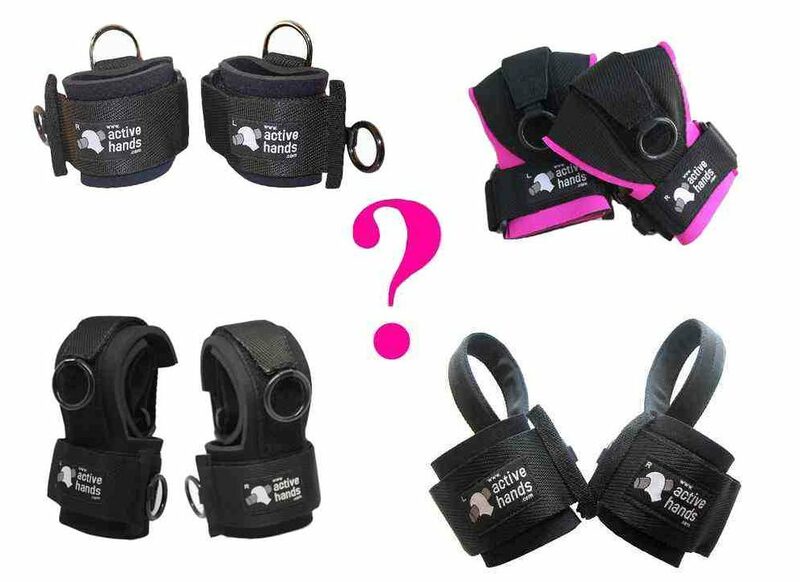 They can grip onto a wide variety of equipment such as; toys, games equipment, instruments, gardening tools etc. This helps a child to be included in the team or group and learn to work alongside other children. For many children holding a pen, paintbrush or pencil is impossible due to lack of hand grip. Our Small Item gripping aid has a palm pad that holds the item for you. 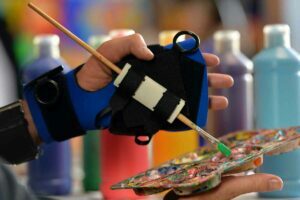 The palm pad can then be attached, at any angle, to the glove section so that children can make marks on paper, or an easel. The Small Item aid is also good for many other items like a toothbrush, hairbrush, drumstick or any small diameter item. A child who has one weak side will often default to using their stronger hand, this can make it difficult to improve strength in the weaker side. Putting a toy or instrument in the other hand with a Mini gripping aid can encourage the child to use the weak side more. 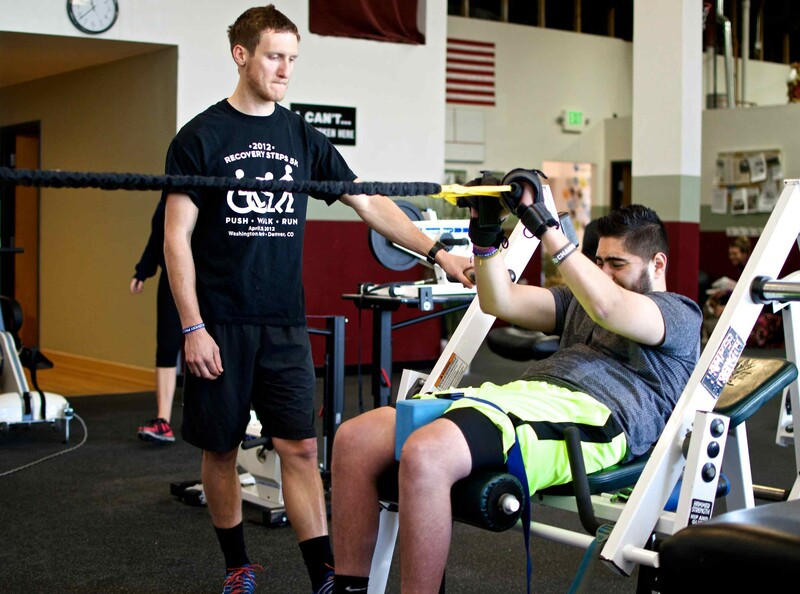 Our gripping aids are great for use with a wide variety of exercise and rehabilitation equipment such as exercise machines, anti-gravity machines, walkers or gym equipment. 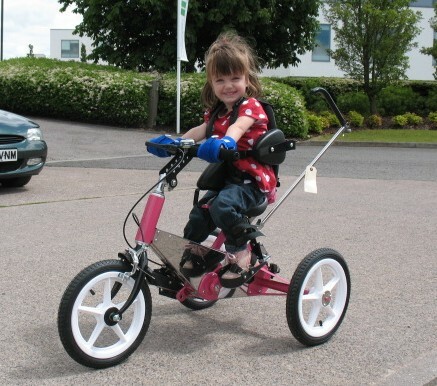 Active Hands mini and General Purpose aids are not only great for those with weak hand grip but they also have a role to play with those who struggle to maintain a grip on handle bars, such as those with dystonia. Active Hands had a grandfather get in touch with us to let us know how his grandson, Parker had benefitted from our gripping aids. “I wanted to write back and explain how well your active hand gripper worked for my grandson. My grandson has a genetic disorder generally referred to as Micro Cephaly with symptoms similar to cerebral palsy. He cannot speak, sit up, walk or control arms but is such a warm hearted little guy who loves to ride an adaptive bike. For some reason, his little legs work on the pedals!